How can qigong help anxiety and depression? 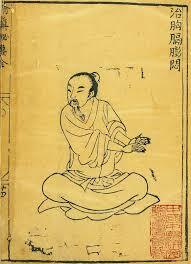 Qigong practice naturally conditions to heal not only the body, but your spirit as well. The gradual cultivation and circulatory of energy (qi) is an achievement or skill (gong). This ‘qigong’ teaches you to patience and unattached determination, , which in my professional opinion and personal experience as a long term qigong practitioner and teacher, will lead to a mastery over one’s psychological makeup through a spiritual state of surrender and acceptance. Through gentle internal guiding of the breath or qi, you can develop the ability to breathe in a more profound way, deeply down to your center, the original essence point. This important area lies below the navel and inside the body, where the qi is collected, stored and used for beneficial effects for the health of your body and mind. 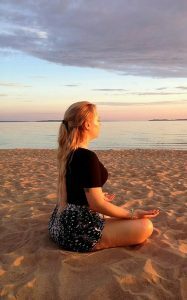 This action of deep controlled diaphragmatic breathing in unison with specific moving postural positions and twisting, holding and release techniques, you experience a palpable and profound sense of well being and happiness. Your spirit feels lifted up and unencumbered. There are many forms of qigong and l also employ moving and still self acupressure and sitting meditation practices with my students. The combined health benefits of practicing qigong are many and well documented as well as scientifically tested. Recent studies have yielded important proof that anxiety and depression do indeed respond and improve with the intervention of qigong therapy, bringing back quality of life and feelings of self esteem to recipients. Tuesday nights 7.30pm – 8.30pm – New Term starts 9th October 2018. Only 8 places left available. David Shepherd has over 35 years experience in these arts & will be teaching this class. Call us on 03 9486 5966 to inquire or book online here. David has been practicing and teaching the practices of Wu Dang Fu style Tai Chi, Qi Gong, Wu Shu, Hsingyi, Bagua and Meditation for more than 37 years. He is well equipped and passionate about the authentic teaching of these ancient arts. He looks forward to sharing his knowledge with you at Freedom Chinese Medicine. David teaches our Qi Gong/ Tai Chi class on Tuesday nights at 7.30pm. We welcome beginners, term students & casual students. Click here to learn more about Qi Gong or simply come and check it out! 1. Wang, F., Man, J., Lee,E., Wu, T., Benson, H., Fricchione, G., Wang, W &Yeung, A. (2012). The effects of qigong on anxiety, depression, and psychological well-being: A systematic review and meta-analysis. Volume 2013, Article ID 152738. 2. Oh, B., Choi, S., Inamori, A., Rosenthal, D & Yeung, A. (2013). Effects of Qigong on Depression: A Systematic Review. Volume 2013, Article ID 134737.